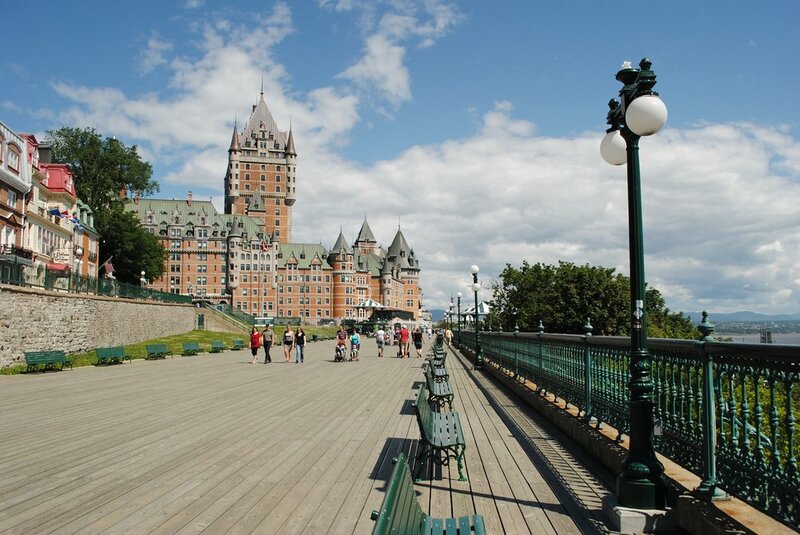 The Château Frontenac sits atop the cliffside of Cap Diamont overlooking the St. Lawrence River in Quebec City. The hotel's grand architecture and old world elegance, while dominating, do not overshadow the hotel's unmatched reputation. The hotel has tremendous pop culture range. Having featured in the opening scene of Alfred Hitchcock's I Confess (1953), more recently its architecture was prominent in one of South Korea's most popular dramas, Guardian: The Lonely and Great God (2016). Château Frontenac also played an important role in the demise of Nazi Germany, as it hosted the Quebec conferences of 1943 and 1944 during which the Allied generals as well as Winston Churchill, Franklin Delano Roosevelt and William Lyon Mackenzie King sorted out the plans for the land invasion of Europe.